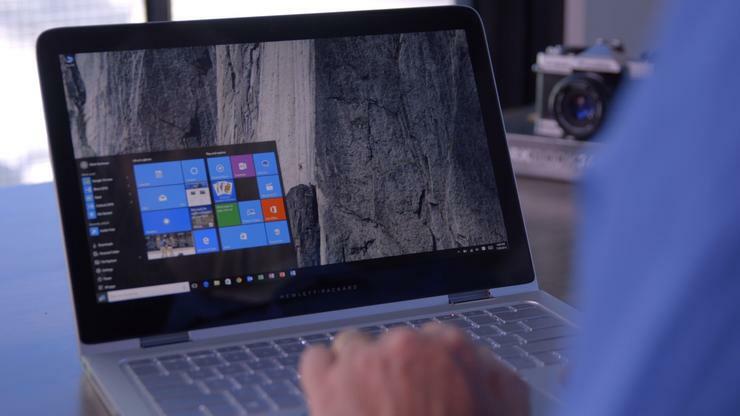 Microsoft yesterday touted operating system-wide power savings in a recent preview of Windows 10, claiming that the technology will reduce notebook battery consumption by 11% on laptops equipped with the newest processors. The technology, temporarily tagged as "Power Throttling," was enabled on all copies of Windows 10 Insider build 16176, which Microsoft released Friday. Insider is the beta program Microsoft runs for both enthusiasts and businesses. The latter rely on Insider to learn how the OS will change for the next feature upgrade, as well as for testing the upgrade prior to deploying the final code when it is shipped several months later. "With 'Power Throttling,' when background work is running, Windows places the CPU in its most energy efficient operating modes -- work gets done, but the minimal possible battery is spent on that work," Bill Karagounis, director of program management for Insider, said in a post to a company blog. The CPU throttling is triggered on an app-specific basis by a detection system Microsoft integrated with the OS, said Karagounis. Like other such technologies, Microsoft's is meant to recognize foreground tasks -- such as active apps -- as well as persistent applications, like music streaming applications, then give them full access to the processor. Other apps, or even individual processes within an app, that are classified as "background," are restricted in how they impact the CPU's power usage. For instance, they may not be allowed to kick the processor into its higher-frequency, higher-power, higher-consumption mode. Power Throttling works only on Intel processors with that firm's Speed Shift, a feature of sixth-generation and later CPUs, including "Skylake" and the newer "Kaby Lake." Recognizing that most personal computers are laptops and that battery longevity is a major factor in productivity, Microsoft has aggressively promoted Windows 10's power savings, notably in the boosterism behind Edge, the OS's default browser. The Redmond, Wash. company isn't working in a vacuum: Other operating systems also try to eke out more battery life by scaling back CPU use. Apple's iOS, for instance, switches to a low-power mode when an iPhone or iPad battery reaches about 20% capacity. Among other things, the iOS mode halts background app refreshing and stops automatic email fetching. Microsoft first added Power Throttling to Windows 10 in January, saying that it had turned it on for a subset of Insider-equipped devices as an experiment and promising to provide an update in mid-February. That update never appeared, hinting that Microsoft pulled it from inclusion in the then-upcoming Creators Update, the feature upgrade released April 11. The first opportunity most users will have to apply Power Throttling will be with 2017's second feature upgrade. Microsoft has not revealed a release timetable, but most experts expect it to appear this fall.